The chief executive of Westfields, Andy Morris, has thanked Hereford supporters for their attendance at the Allpay park this season. 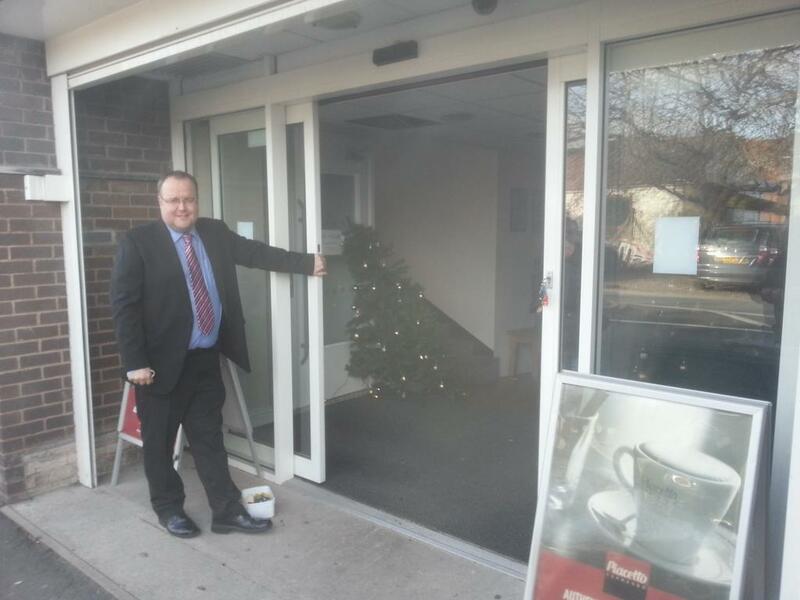 "We've been very well supported by the Hereford public," Morris told Matt Healey for Sunshine Radio. "Our support last year was 75/80 and we've doubled it this year. Some weeks we've had close to 200. "Plus the fact the Hereford supporters have been very good, they'll sponsor a game or come and drink in the bar. "The bar takings have been much better this season." Morris also spoke about Westfields budget. "£60K is our budget for everything from the groundsman to the tea lady to the laundry to the first aid, coaches when away from home. "We have raise £60K to function. "The first team generates the most amount of money because of good gate receipts. "We have 102 season ticket holders, we have a matchday programme which produces £4K of advertising every season, we get a match sponsor in for every game which provides £100. "We have a race day, we have a golf day, we have a very, very good sportsman dinner which we've been doing for 27 years which is probably the biggest social function in Hereford. "And not forgetting our sponsors, Allpay, who are very generous to us. They have been with us for ten years now." More information has emerged about Hereford FC season tickets which go on sale from Thursday. For those unable to go to Edgar Street there will be 'a downloadable ST application form online so exiled fans can post cheques to the club'. Also there is a space on the ST application form where you can specify the seat number you want if you have a favoured spot! And, as in the past, VP tickets will be available. Only they will be called 'Excutive Club Season Tickets'. Six of these have already been sold - to the Directors of the new club. Finally the club are hoping to have 'card facilities' as soon as possible. It's also hoping to have a new telephone line installed. Kidderminster Harriers have failed to pay their players and staff on time again. The club confirmed to BBC Hereford & Worcester that payment would be made next week, the second successive month that funds were not available on time. First team regular Jared Hodgkiss told his Twitter followers that he wasn't getting paid until after the club's next two games - away at Telford before a lucrative home match against Bristol Rovers on Monday. Rovers have sold all but 200 of 2,600 tickets allocated to them for the match, with the overall attendance likely to be three times Harriers' last home gate. Portsmouth have announced a first year operating profit of £111,800 since they were taken over by a joint Trust and investor initiative. The League Two side turned over a whopping £6.6m, including £3.4m of gate receipts, but lost over £100,000 after interest on loans was taken into account. The loans were taken to finance the takeover of the ailing club. Cambridge City have announced a groundshare deal with St Ives Town. City have been playing at Histon since their home ground was sold for housing two years ago. The new deal will last a season while their new home is built. Kidderminster and Worcester have confirmed their groundsharing agreement will continue for another season. The cash strapped Harriers say they will work to improve the pitch during the summer. Former Bulls coach Dave Kevan has left his role at Forest Green. The former Stoke coach had been Ady Pennock's no.2 since Pennock's appointment in November 2013. He is set to join Notts County as a coach, with the League One side currently without a manager after sacking Shaun Derry last week. Dixie McNeil believes Darren Ferguson should be given the managers job at Wrexham. Ferguson spent eight years as a player at the club, and is out of work after leaving Peterborough in February. Assistant manager Gary Mills has also left the Racecourse after announcing he was not interested in taking on the job, leaving coaches Carl Darlington and Michael Oakes in temporary charge. We are delighted to announce that Hereford FC season ticket and matchday admission prices for the 2015/16 season will be announced on Thursday morning (2 April). The prices were signed off at a Board meeting last night and season tickets will now go on sale to coincide with the opening of a temporary office in the main entrance foyer at Edgar Street on the same day. Our temporary office – which will initially be staffed by our new Commercial and Office Manager, Chris Ammonds, and Volunteers Co-Ordinator, Ken Kinnersley – will be open for the first time from 12pm until 8pm on Thursday, and will then be open from 10am until 2pm on Easter Saturday. Details about future opening times will be announced on Thursday. Season ticket application forms will be available from the office, so do feel free to pop in and make your purchase face-to-face if you’d prefer. Meanwhile, in other news, we can confirm that Hereford FC’s Articles of Association, which are specific to the business model being followed and have been approved by the Hereford United Supporters Trust (HUST) Board and the Football Association, have now been sent to Companies House. Once Companies House confirm receipt of the Articles and post a download option online, we will post the signed document on our website for supporters to view as soon as we can. Finally, we can confirm that last night the Edgar Street floodlights were tested to ensure they meet the standards required for Step 4 and Step 5 football. We’re pleased to report that initial results from the Lux Level Test appear to suggest the lights satisfy standards up to the Conference Premier. Former Yeovil manager Gary Johnson has taken on the task of trying to keep Cheltenham Town In League Two. The Robins are bottom of the League and Johnson has been brought in until the end of the season. “I am looking forward to getting started," said Johnson. "I know the club, the staff and the players well and I am looking forward to getting into the swing of it and doing everything we can to succeed in our mission. Meanwhile it's understood former Hereford United director Tim Russon recently left Cheltenham Town where he had been a director since September 2012. Prize Bull draw No.45 took place on Monday night. The winning numbers are 3, 13, 16, and 19. Should you have the winning combination, please contact liaison@hufctrust.co.uk to claim the jackpot. Owen Evans, who was one of the goalkeepers in Peter Beadle's Hereford United youth team from last season, has been offered a professional contract at Wigan. Carlisle's Supporters Trust has voted overwhelmingly in favour of slashing their shareholding in the club from 25.4% to 10% to allow new investment by a group of businessmen. 93% voted in favour of the move for up to £1.26m to be ploughed into the League Two side. A club EGM will now follow this week to increase the number of shares the club can issue. Wrexham have sacked manager Kevin Wilkin after they lost the FA Trophy final yesterday. The Dragons had been 2-0 up but lost on penalties after extra time to Conf North side North Ferriby United, and are 15th in the Conference - 18 points short of the last play-off spot - with a club statement saying their desire is to return to the Football League. Torquay chairman Thea Bristow has stepped down with immediate effect, taking the title of Lifetime President of the club. Bristow had been due to step down at the end of the season, but says it has become obvious that the interests of the club are better served with her departing the board. She will cease funding the club in the summer. Merthyr have signed a new lease at Penydarren Park that will enable their planned £1.8m development at the ground to go ahead. The building of a new community multi-function facility and the refurbishment of the stands around the pitch will commence shortly, with the main contractor for the works set to be announced. Hereford FC's application to join the national league system has been received by the FA according to chairman Jon Hale. "We will meet with the leagues committee sometime in April, but probably won't know until mid-May which league we will be put in to start," said Hale. Meanwhile tests have been taking place on the floodlights at Edgar Street. The tests are required under FA regulations. Tonight’s Prize Bull Lottery draw will have a jackpot of over £2,500. For just £1 a week (£4.33/month) you can select four numbers from 24 and win the jackpot if your numbers are picked out at random each Monday night. Cinderford Town manager John Brough has been linked with the new manager's job at Hereford FC. Whilst it isn't clear if Brough has been interviewed, he hasn't said anything to rule himself out of the running. He has spoken to the Gloucester Citizen which reported that 'although not ruling himself out, Brough said no decision on his future will be made until the current campaign is over'. "Hereford haven't even got a league yet so they've got a lot of work to do between now and appointing a manager and my focus is on finishing as high as we can," said Brough. "It was a club I played for four years and a club where I had good times, getting in the play-offs and from a personal point of view when I scored against Spurs, but I was in the squad and team that were relegated so I had ups and downs there. "It is fantastic that they've reformed, they've got the keys to Edgar Street and they're trying to get the club together." Meanwhile another former player, Matt Clarke, reportedly made an application for the job but was not shortlisted. Hereford FC have just one interview with a potential manager left to carry out. Four managers have already been questioned. It's thought the final interview will take place on Wednesday. "There is no time scale for an appointment," said Hereford FC chairman Jon Hale. "We are going through a process and we hope it will be made before the end of the season but we have to get the right person to do so"
Hereford FC is pleased to announce that Chris Ammonds has been appointed the club’s Commercial and Office Manager and will be starting work officially on Wednesday 1 April. Chris has been part of the Hereford FC group for many months. He was originally approached back in June to offer PR and communications advice when the group first decided to go public with the plans they had in place to launch a phoenix club should the worst case scenario occur and Hereford United go out of business. ‘The Hereford FC business plan contains a detailed commercial strategy to maximise income opportunities and ensure we are a sustainable club moving forward. ‘We are therefore delighted Chris Ammonds has accepted our offer to become the club’s full time Commercial and Office Manager, as we see this as a key position. ‘Chris – or ‘Stig’ as many people know him – has worked extremely hard behind the scenes as we have fought to secure the Edgar Street lease and the football club knowledge he has brought to the table having worked as Media Manager at Wigan Athletic for over three years earlier in his career has been invaluable. ‘I’m proud and honoured to have been asked to become Hereford FC’s Commercial and Office Manager and cannot wait to get started. ‘I am, however, in absolutely no doubt how important it is for Hereford FC to maximise its commercial income as sustainability is what the whole club will be built around. It will be my job to hit, and then exceed, all the targets that are included in the budgeted income sections of the business plan. ‘Working with the Commercial Director, my immediate priority is to get season tickets on sale in the very near future and open a temporary office at the stadium that fans can visit. We then have a detailed strategy to work through over the coming months, the aim of which will clearly be to achieve as much commercial income as we possibly can. ‘In the next few weeks I will be making contact with all Hereford United’s old sponsors and will also be approaching new ones. We want all our sponsors – old and new – to feel a real part of the journey Hereford FC is about to set off on and we want businesses to be proud to have their name associated with this club. ‘The club’s 2015/16 sponsorship and hospitality brochure will be finalised shortly and it will then be sent to the many businesses that have already made contact with us. ‘If you’d like to have a brochure sent to your business, please do make contact by e-mailing commercial@herefordfc.co.uk. Meanwhile, the club has confirmed that a new phone line will be installed at Edgar Street as soon as is possible and that this number will be advertised once it is live on the official website and social media platforms. However, please be aware this line may not be in place for two or three weeks. It appears that the Articles of Association for Hereford FC have been agreed and will be forwarded to Companies House tomorrow so that they can be filed before the deadline of April 1st. The Articles are yet to be published but were looked by by several people not immediately connected with Hereford FC or HUST after which some amendments were made. XSLF (ex Stiff Little Fingers) played their first ever UK mainland gig at the Starlite Rooms nearly 2 years ago and they begin their UK tour at Hereford on Good Friday at the Victory as the Starlite rooms are unavailable. All Bulls fans are welcome. Band members Jim Reilly, Henry Cluney and Ave Tsarion have developed a soft spot for HUFC and are pleased to see the formation of Hereford FC and hope to be at Edgar Street sometime soon. Hereford FC's first game will be a trip to Malvern Town on July 7th. The game will take place at the Langland Stadium, where over 800 watched the Fans Team last August. The first home match will be the following Saturday. Hereford FC have announced that they hope to stage their first home friendly on Saturday July 11th. It's thought that pre-season matches will include some friendlies against League or even Premiership teams. Possible opponents include Swansea City and Merthyr Tydfil. Swnasea allowede Hereford supporters to stage a bucket collection last season and Merthyr invited members of HUST to look around their ground recently. ‘Alongside the obvious delight, the over-riding feeling this morning is one of relief as there have been several times in the last two or three weeks when we felt this deal would not get done, let alone in the last few months. ‘The lease deal has been agreed by two parties fighting very hard in the best interests of their own needs and a number of people on both sides have gone above and beyond the call of duty to get this agreement done. ‘On a personal level, I will never forget how hard a small band of committed people have worked in the last few weeks to ensure Herefordshire Council had the reassurance and confidence they needed to grant us the Edgar Street lease. ‘Without their efforts, and the financial credibility provided by the four individuals who are providing our start up capital, this deal would simply not have been completed in the timescales we faced. ‘Having said all that, it is not lost on any of us how big a part supporters played in actually making the launch of Hereford FC possible. Had fans not stood up for what they felt was right and fought hard for what they believed in, Hereford FC would not have had the chance to secure this deal and in my opinion it is almost certain we would have lost Edgar Street forever. ‘I would like place on record the fact that I am grateful to every single person who has played any part – no matter how small – in influencing events and giving Hereford’s football fans hope for the future. ‘We have a number of things we need to sort immediately around the stadium, but that will not stop us looking at longer-term plans. We are aiming to get Season Tickets on sale within the next week or so and hope to announce details in the next few days. ‘We also hope to set up a temporary office at Edgar Street as quickly as possible so that we have a presence on site and a place for fans to visit if they want to pop in. ‘As we plan a schedule of work at Edgar Street we also look forward to meeting those people who have kindly volunteered to help us in any way they can. Our Volunteers’ Co-ordinator, Ken Kinnersley, has a compiled a comprehensive database of everyone who has made contact and I’ve no doubt he will be in touch with an update soon. ‘Moving forward, be in no doubt that we are absolutely determined to build a club that we can all be proud of and everyone involved wants to be able to walk the streets of their home city with their head held high in years to come. ‘We all – and I mean all – have a fantastic opportunity to make Hereford FC the club we deserve and that we’ve always wanted to support – it is now time for everyone to focus on the journey that lies ahead and no longer dwell on the disappointments of the past. Martin Watson has been at the fore-front of setting up Hereford FC. Yesterday the club were given the keys to Edgar Street and Watson spoke to BBC Hereford and Worcester about how pleased he was. This morning he has commented further. "I cannot thank Phil Pratt enough for the work he did in securing the leases. That man is a genius. He's not a Hereford fan (despite his recently acquired Bulls News obsession) but he's worked above and beyond the call of duty to secure the stadium on good terms using his vast knowledge. I also must thank Matt Hayes and the team of Harrison Clarke Rickerby for their assistance over the last few weeks in pulling the leases together and preparing contracts for our new manager and staff. I must also thank the person that put Phil and Matt our way, being able to be told "go to him" and getting the best is invaluable. "I have constantly said that this is a team effort. Andy Morris was on H&W about 5pm calling Edgar Street "the Wembley of Herefordshire" in his delight at the news of the securing of the leases. I must also thank Andy for his substantial insight into what we are to expect next season and the challenges we are to face. And, indeed, the entire Westfields committee. Every one I have spoken to has admitted to being a Hereford fan and wanting the best for the club, and they have all given me the opportunity to ask them anything I need to know. "The same goes for Wellington, Pegasus, and Malvern. They have been incredibly welcoming this season and have provided valuable tales and insight. They all - and Westfields - wrote letters to the Council to support the bid for the stadium. There is no envy there, they all want a Football League club at Edgar Street as we do. "And the HFA. Jim Lambert and the whole team there have been incredibly supportive despite having been lambasted by previous regimes. Without Jim's substantial knowledge we wouldn't have been in a position to be able to tick off the boxes on the FA application. We've still work to do to get across the line, which is why I'm up at 5am on a Saturday morning, but the whole of Herefordshire football is supporting us to make Hereford FC kick off a league match in August. "And, indeed, Herefordshire Council. They have wanted this deal to go through but have had to jump through their own local Government hoops. But there are plenty of staff there are also Hereford fans and, sometimes, those little unseen nudges in the right places do wonders to push the process along. I can't name them, they've asked me not to, but there are several people in HC that all Bulls fans have to be thankful for their role in proceedings. "We wouldn't be where we are today without everyone's effort. But this small group of people highlighted above deserve a special mention right now." Former Bull Jake Harris has joined the ex-Edgar Street ranks at Merthyr Town. Harris joined Frome Town in January, playing only twice, before joining Yate Town. Lyle Taylor made his international debut for Montserrat, scoring as the 172nd best side in the world lost their World Cup 2018 qualifier to 160th ranked Curacao 2-1. Southend are back in Court on Monday to face another winding-up petition. The serial visitors say that the case, brought by law firm Dechert LLP, has been settled and will be a formality. Mathieu Manset missed Cheltenham's home loss to Exeter last weekend due to being stuck in traffic. The M5 was closed for 14 hours between Tewkesbury and Cheltenham after a crash, causing Walsall based Manset to miss the game. Mansfield's debt is to be reduced by £1m after a deal with former Director Steve Hymas was reached. Hymas will convert loans to shares and return to the club's board after a stand-off with owner John Radford that has lasted for three years. Radford will also convert some of his loans to shares, with Hymas resuming his former remit of youth development at the club. Bedford Town have announced that a two year long legal battle against them has been dismissed. Former player Nick Beasant was being sued by former Weymouth striker Jamie Skinner for £150,000 in damages after a tackle. Bedford faced liquidation if they lost the case, with a further £200,000 in legal fees expected but the case was dismissed yesterday. Chester are set to finalise a new 50 year lease on their Council owned stadium. Their original five year lease was set to expire this summer. Kidderminster have signed striker Gurjit Singh on non-contract terms from Midland League Premier side Tipton Town. Singh, 24, will continue to play for the Step 5 side while training with the Harriers as they look to slash their wage bill next season. Bristol Rovers fans are mulling over moves to protest at Sainsbury stores over their attempted withdrawal from the plan to build a new stadium for the club. The club and supermarket face court in May over the dispute, with the club calling on any protest to be 'lawful and peaceful'. It has been revealed that the club has taken out a £2m loan at more than 15% interest rate after their bank refused to extend credit terms, with the full sum and interest due at the end of the year. The Herefordshire Football Association were delighted to hear that Hereford FC signed the leases to Edgar Street this afternoon. Later Roger Goodwin, HFA Football Strategy Manager, was on hand to have a look around the ground as it was unlocked for the first time by Jon Hale, chairman of Hereford FC. The HFA have worked closely with Hereford FC over the past few months to support them in various aspects of setting up the new club and look forward to continuing to work closely with the new regime. Roger Goodwin commented "The HFA are delighted to see that football will return to Edgar Street. Hereford United supporters have had a tough time over the past 12 months and we are very pleased to hear that Hereford FC have signed the leases. "The HFA have worked closely with Hereford FC over the past few months to support their application for entry into the National League System. The HFA would like to wish Hereford FC and their fans every success as they look forward to playing football at Edgar Street again." Hereford FC chairman Jon Hale was given the keys to Edgar Street this afternoon. "Absolutely chuffed to bits for every single Hereford supporter," said Hale. "We've got our ground back everyone!" Martin Watson was one of the first Hereford FC supporters to look around Edgar Street late this afternoon after the new club was given the keys to the ground. Watson is club secretary of Hereford FC and also vice-chairman of the Supporters Trust. After his visit to the ground he spoke to BBC Hereford and Worcester. "The stadium was everything," said Watson. "If we didn't have the stadium we couldn't do it anywhere else in Herefordshire, it was the only place. "To finally get hold of the stadium after all these months is absolutely fantastic. 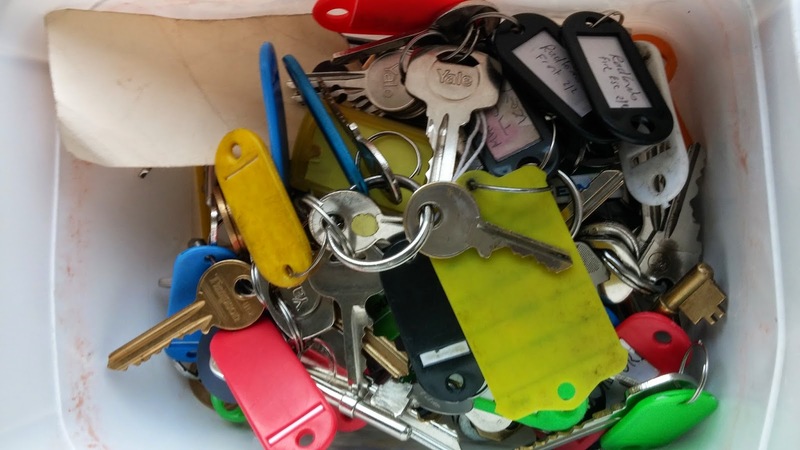 "I've just popped down the stadium and I'm about to drive away with a box of keys. "There are a lot of electrics to deal with, there's some sewage works that need to be done. "One of the things we need to do to satisfy the FA is to do a test on the floodlights to make sure they are strong for the league we are going in. "Beyond that we've got to find a manager, we've got three interviews on Sunday, another one on Monday, we've already done one. "And he's got to find a squad. "The hard work starts here, but it's not just going to be the six or seven on the board and the dozen or so people that have helped us get to this position. "We've got 180 volunteers now and it will be the sum total of those 200 people who will get the football back at Edgar Street in July and kick-off the new season in August. "The indication from the FA is that it will be step five which will be most likely the Midlands Football League, the same level as Westfields which would make an interesting pair of derbies. "The possibility is step four which would be the Southern League South and West. If we have to start at step five then we start at step five." Hereford FC is delighted to announce that earlier today a deal was formally completed with Herefordshire Council that will see the club become the new tenant at Edgar Street. The lease has been signed after four weeks of intense, detailed negotiations between Hereford FC and the local authority. It begins immediately and will run for five seasons until the end of the 2019/20 campaign. ‘We are absolutely delighted to have reached a point where we have formally secured a home for Hereford FC. ‘Edgar Street has a special place in the hearts of so many football fans – both locally and nationally – and we now look forward to Hereford FC creating more memories to add to those of the past. ‘As you would expect, the lease negotiations have been thorough and lengthy, but in the end we have reached an agreement that both Hereford FC and Herefordshire Council are satisfied with. ‘Although we have been handed the keys today, it will be some time before we can allow public access to the stadium as there is a significant amount of electrical repair work that needs to be completed. Furthermore, as part of its commitment to this deal, the local authority has major works to undertake too. ‘I’d just like to place on record my thanks to Herefordshire Council and its legal team, and Matt Hayes from Harrison Clark Rickerbys who has acted on the club’s behalf, for the hard work they have done to ensure this deal was completed prior to the Football Association’s deadline to enter a league in 2015/16. ‘I’d also like to thank the Hereford United Supporters Trust (HUST) membership for their support and for giving us the mandate to go ahead and complete this deal. ‘Most all though, I’d like to express my gratitude to the individuals from the Hereford FC group and HUST who have worked tirelessly over many months to secure today’s deal. Over the course of the next few days we will endeavour to release a detailed update of our initial plans now we have the keys to Edgar Street. Serge Mor-Diop who played for Hereford United during the Agombar/Lonsdale era has moved to Redditch. The former Darlington player had been at Gloucester City since leaving Edgar Street but the striker will be able to turn out for his new club on Saturday. "He was at Hereford United earlier in the season and, at 6ft 4in, can offer us a physical presence up front and play with his back to goal, which is something we have been lacking," said Redditch manager Liam McDonald. Former Bull Josh Gowling has left Kidderminster for Grimsby on loan for the remainder of the season. The player-coach refused a reduced contract earlier in the season, and has told his Twitter followers he had little choice in the move. Grimsby are looking for investors to plug a funding hole in plans for a new £22m stadium for the club. The club have not revealed how large the hole is, but have called it an 'ever-moving target'. Kidderminster chairman Ken Rae and the club's board has apologised for mistakes they have made. Rae, who was previously chairman at Redditch when their finances collapsed in 2011, says the appointment of Andy Thorn was a mistake with the former Coventry boss being sacked less than two months into the job with current boss Gary Whild placed on gardening leave during Thorn's reign. Chester boss Steve Burr has signed a new deal with the club to take him up to the end of the 2016/17 season. The Blues are 11th in the Conference this term after being reprieved from relegation last summer. Negotiations are ongoing over Edgar Street, with the lease possibly being able to be signed today. Jon Hale told the Hereford Times: "It's a legal contract and is a big thing for both sides. We fully understand that the council want to get this right, especially after what has happened in the last nine to 12 months. "They are under scrutiny as much as everyone. They have certainly listened to us and worked with us to ensure the tenancy is on the right platform. "Frustration has certainly been there but once we get them signed, we can put it firmly behind us and get on with things." "We are then hoping to have the old club shop open as an office and perhaps as a small shop so supporters can go to the ground and buy their tickets and engage with the stadium again." Negotiations for pre-season friendlies are already underway, with a trip to Malvern already pencilled in. Last night Hartpury University First team became British National University Champions beating Stirling University in the final 1-0 at Loughborough University Stadium. Former Bulls Jamie Edge (currently Weston Super Mare) and ex youth Team keeper Harvey Rivers (Gloucester City) played in the final with the Hartpury team made up of Step 2 to 5 players. Over the years there have been close links between Hereford United and Hartpury and it could be that the university will become a possible source of players for Hereford FC. London Bulls call on South East supporters to join them at Clapton game this Saturday. For those of you coming to the Clapton FC v Enfield match this Saturday we’re all meeting in the Fox and Hounds pub at 1pm for a few beers. It’s been recommended by locals and is frequented by the Clapton Ultras. Its right next door to Forest Gate Station (13 mins from London Liverpool Street) and then it’s a 15 min walk to the ground from there with kick off at 3pm. We’ve been starved of live football all season so we hope to see as many of you there as possible! UITC's youth team secured a 3-1 win over Bury this afternoon at Victoria Park. All UITC's goals came in the second half. Scorers were Simon Morgan, Carlos Moreira and Tom Gameson. Meanwhile Hereford FC have confirmed that they have made an application for the new club to field a side in the FA Youth Cup next season. 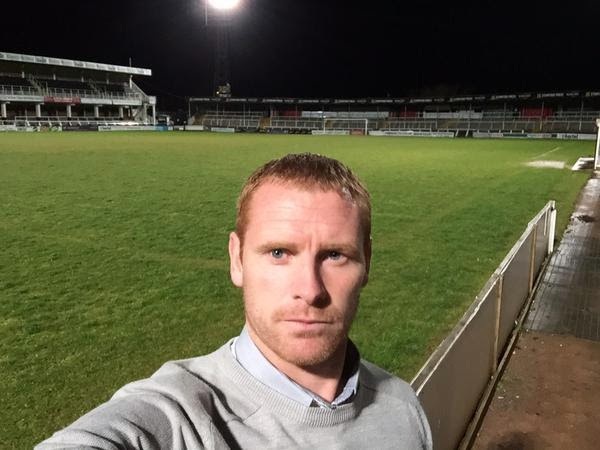 Former Hereford United player Jimmy Harvey has confirmed that he is not on the short-list for the Hereford FC manager job. “I didn’t make the short list and am not going to be interviewed,” Harvey told the Hereford Times. “I am really disappointed with it. “They said I had a lack of experience at level five, so I am very disappointed. “People have mentioned my health and re-location issues, but that wasn’t a problem." Jimmy Harvey initially joined Hereford United on-loan from Arsenal in Spring 1980 under Frank Lord. He signed that summer, become a fans' favourite and featured several times in the Division Four Team of the Season. In 1987, Harvey broke Hereford hearts and joined Bristol City for £20,000. Meanwhile it's understood several other potential managers were told yesterday that they would not get an interview. The shortlist is now thought to be down to five or six candidates. The fear of being relegated out of the Football League has seen Cheltenham Town agree to an extension of their ground share deal with Gloucester City. Robins' chief Paul Baker told the press: ‘This was a very difficult decision for us. In an ideal world we would not have agreed to extend the arrangement due to the impact it is having on the pitch which frankly looks well past its sell by date when compared to the fantastic award winning playing surfaces of the past. The new deal includes an increase in rent on the current deal, and limits Gloucester to only one pre-season game on the Whaddon Road pitch. Blackpool are interested in former Hereford United winger Marley Watkins who is out of contract at Inverness Carley Thistle this summer. Also watching Watkins, according to the Express, are Hearts and Polish side Slask Wroclaw. Watkins left Edgar Street at the end of the 2012/13 season but Hereford did not receive any fee for the player. The re-launch of Talking Bull is one stage nearer with the release of the header. Torquay boss Chris Hargreaves says the side he fielded at the weekend had an average wage of £375 a week. They beat Kidderminster 2-1 to end a run of six games without a win. Cardiff side Grange Quins have withdrawn from the Welsh League. They were a Welsh Premier side in 2006 but finances since had seen then drop down to the fourth tier. Darlington's plans to return to the town have been boosted after they raised the money needed to bring Darlington RFC's ground up to scratch. The funding includes a £150,000 grant from the Football Foundation to bring the ground up to the C grading for the Northern Premier League, with the club hoping to raise a further £75,000 for the summer works to increase grading to B for Conf North standard. Northern League side Celtic Nation are on the brink of collapse after their financial backers pulled out. Millionaire Frank Lynch left last summer after paying Football League wages to attract players, but gates have dropped from 1,000 to 50 leaving the club facing an end of month deadline to find a new backer. Near neighbours Carlisle City have already taken over the lease to their Gillford Park home. Carlisle's Supporters Trust has been asked to cut it's shareholding in the club from 25.4% to 10%. The proposal comes from a local businessman who says he has investors ready to put £800,000 into the club, but for whom the Trust's holding bars investment. Carlisle's Trust has 300 members but proposals are on the table to enrol all the club's season ticket holders as members in future. Former Bull Adam Bartlett will be out for a length of time due to an unspecified 'internal injury' picked up in Gateshead's weekend game with Dover at the weekend. The Heed have signed Sunderland youngster Joel Dixon as cover for the rest of the season as a result. There are a small number of The Whites Are Going Up book for sale signed by most players on Sunday. Costs is £15 + £5 postage. Please email steve@nibbo.co.uk to secure a copy. Prize Bull draw No.44 took place on Monday night. The winning numbers are 2, 9, 19, and 24. Should you have the winning combination, please contact liaison@hufctrust.co.uk to claim the jackpot. Interviews for the new manager of Hereford FC are set to start on Wednesday. Originally there were around 40 potential candidates for the job but it's thought the list is down to around ten. Interviews should be completed by late Sunday. However it's not expected that any appointment will be announced for several weeks. The 'Auction' For Children With Cancer. Westfields chief exceutive Andy Morris auctioned several shirts after yesterdays friendly game had finished. The HUST board would like to thank everyone that came to Westfields FC’s allpay.park yesterday to support Steve Guinan’s fundraising for Children With Cancer UK. Between the gate receipts and post match auction, over £3,000 was raised for the charity, smashing Steve’s target for his London Marathon run. Another £675 was raised for the Adam Stansfield Foundation through their stall, the penalty shootout, and the half time draw. Over 700 supporters contributed to a fantastic atmosphere that helps to demonstrate the support for Hereford FC going forward. On the pitch, the two sides had an entertaining 2-2 draw. The Fans Team next outing is on April 25th, when they travel to Hitchin Town in a Pay What You Want game with the revenue split between Hitchin and HUST. Steve Guinan has said that his fundraising target of £3,000 for Children with Cancer has been smashed after over 700 people watched this afternoon's charity match at Westfields this afternoon. As at 9.30pm this evening he has raised £5135 with about £3375 including gift aid coming from this afternoon's game. On top of that £675 was raised for the Adam Stansfield Foundation. A selection of pictures from the second half at Westfields this afternoon. Pictures from the first half of this afternoon's charity game at Westfields. This is the first of several selections of pictures taken at Westfields this afternoon. Jon Hale, chairman of Hereford FC, was very pleased with the turnout of over 700 for this afternoon's charity match at Westfields. "Absolutely amazing, over 700 people and a lot of talk about the new club here today," Hale told BN. "Fantastic to see everyone enjoying a game of football and a beautiful afternoon as well." The interview then turned to the subject of the leases of Edgar Street and whether they will be signed on or by next Friday. "That's the plan. Both sets of solicitors are pushing on so we think we might be signed maybe Thursday or certainly Friday. "Then we can push on and hopefully get the season tickets selling and do a bit of commercial stuff as well. "There are problems with the electrics at the ground. There's quite a bit of work to do before we can open the ground in its full state but certainly to start with we're hoping to get the club shop open so that we can use it as an office and a shop at the same time. "We are in no great rush for the rest of the ground as football won't take place until July. "We know what we problems are and we've just got to work through them stage by stage. 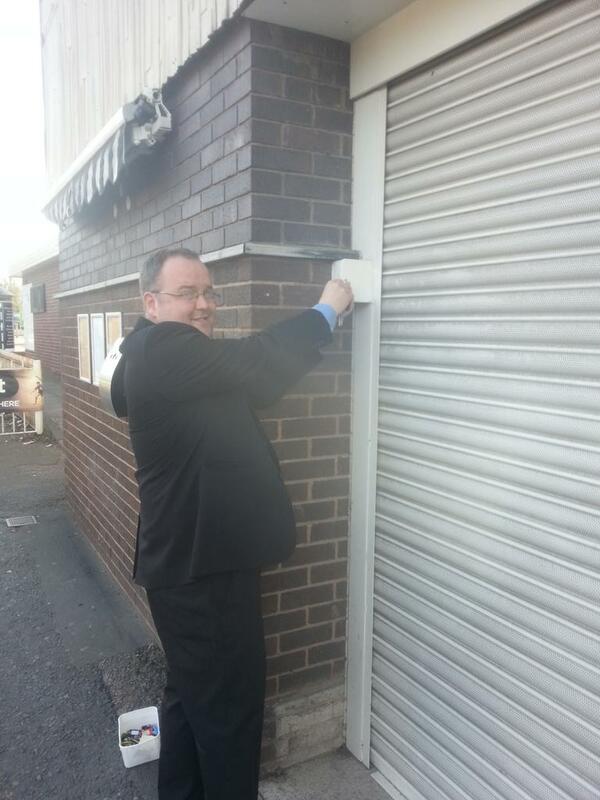 Hopefully we'll get the Starlite and Addisons open as the next stage after doing the shop. "And at some stage in June hopefully have the whole stadium open. "It's a case of working through things but the most important thing at the moment is to get the leases signed so that we can get season tickets on sale." How do you keep the momentum going given there's still several months until the first game of the season? 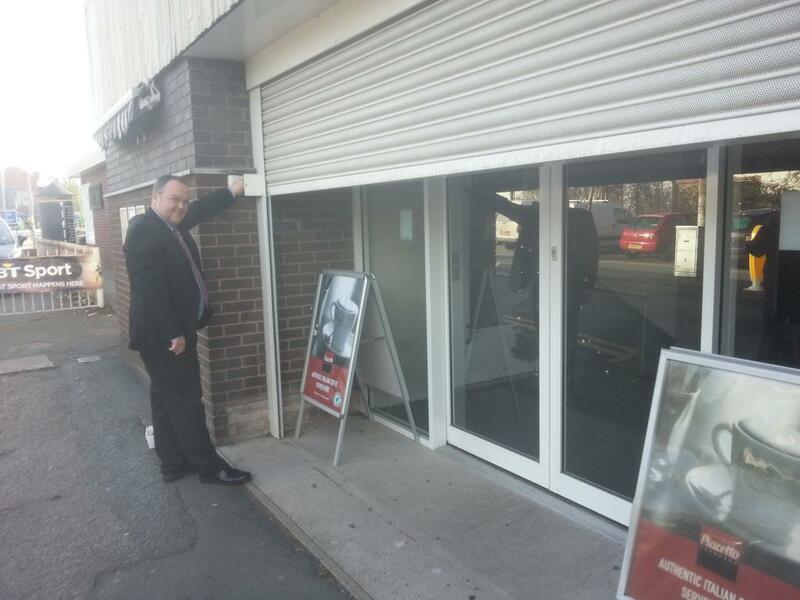 "We've got to manage expectations and there's a lot of things going on in the background that we haven't been able to say anything about because everything was coming back to getting these leases firstly agreed and then signed off. "So there's a lot of things we are holding back with at the moment, season ticket prices being one of them, kit deals, kit sponsorship. "All of those things will come out over the next couple of months. "It is absolutely key to get the momentum of the supporters up and then try and keep it up as we want to sell season tickets. "There is a great atmosphere about the place, you can see that hear today." Would the price of season tickets depend which league Hereford FC are in? "We've basically taken a decision whether we are in step five or step four we've decided on the level. Maybe a bit of tinkering to do. Hopefully we'll announce season ticket prices sometime in the next few weeks. "If they decide to put us in step four we wouldn't change the season ticket prices." A Hereford United Legends team with Graham Turner at the helm took on the Hereford United Supporters Trust Fans Team, managed by Peter Beadle, in a charity fundraising match held at Westfield’s sunny allpay.park this afternoon. There were 20+ ex-Hereford players in attendance, and the receipts from the 715 gate going to Children With Cancer UK. Despite some early pressure from the legends, it was the supporters team who broke the deadlock. Tom Gameson broke forward and just the keeper to beat the current UITC youth teamer chipped the ball over the keeper and left him helplessly looking on. With HUST on the counter attack following a cleared corner from Stuart Fleetwood, the keeper couldn’t hold onto a shot and the ball went behind for a corner kick. Callum Brennan delivered an inswinging corner, but was headed away to Fleetwood on the right wing. Proving he still had some of that pace he had from his two spells at Hereford United, he ran the length of the field and was through on goal, but his cross was just too far ahead of the onrushing Guinan and the ball went out harmlessly for a goal kick. HUST doubled their lead not long after, when a good ball was played forward into the box meaning Jack ‘Frosty’ Tomlinson could chip the ball over the keeper to give the supporters team their second goal of the afternoon. After the recent birth of his daughter, Rob Purdie still found time to appear in this afternoon’s match. After carrying the ball up the right wing, the utility man cut into the box and sent a low ball through a crowded penalty area into the bottom left hand corner of the goal. Before the end of the first half, Kris Taylor managed to pull the legends back level; after receiving the ball on the edge of the box, he played the ball back into the area and his curling effort found the top corner of the net. At the start of the second period, Steve Guinan’s Hereford XI managed to force a corner. With Rob Purdie taking, he played the ball to Kris Taylor whose rasping shot was only just tipped over the bar by HUST’s keeper. Throughout the second half, the supporters team’s stopper was forced into making a handful of very good saves as the legends piled on the pressure. Former striker Peter Heritage tried his luck from 18-yards, but his effort was tipped over by the keeper for a fruitless corner. With no more goals from either side, honours remained even which was probably a fair result a fitting end to a very enjoyable game.